Award categories include: Best Use of Video in Social Media; Best Connection to Twitter, LinkedIn or Facebook Audience; Best Case of "Lemons-to-Lemonade"; We Can't Believe That Worked! ; Best Outcome Based on Listening/Monitoring/Measurement; and The Earnies Grand Prix. Of the awards, PR Newswire marketing and Communications VP Rachel Meranus said, "Social media and owned media have completely redefined earned media and forced PR and marketing professionals to strategically rethink the old model, embrace the new opportunities, leverage all influential channels and consistently engage with audiences through social conversations that are ongoing. 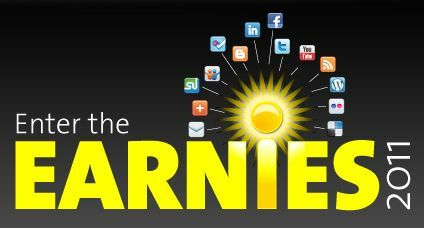 The Earnies will recognize how communicators are doing so innovatively and successfully."